Platelet-rich plasma (PRP) has been used for a variety of indications for more than 25 years. Currently, close to 10,000 references can be found on PubMed, using the search term platelet-rich plasma. These various applications have given rise to considerable interest in the potential of PRP in facial rejuvenation and other aesthetic applications. It has been demonstrated that PRP contains several growth factors, cell adhesion molecules and various cytokines, and could, therefore, play a role in fibroblast activation and type I collagen expression in human fibroblasts. Intrinsic and extrinsic factors are responsible for skin ageing, degeneration of connective tissue, and a decrease in hyaluronic acid polymers, with alterations in dermal extracellular matrix (ECM) proteins, presenting fewer fibroblasts1. Activation of dermal fibroblasts, collagen synthesis and remodelling of the ECM, are essential for skin rejuvenation. The use of PRP for skin rejuvenation dates back to 2010 by Redaelli et al., and Sclafani, where the main objectives included facial and neck revitalization, and deep nasolabial fold improvement2,3. Currently, physicians can choose from more than 30 PRP, or PRP like, processing systems, producing different PRP compositions and cellular content (Figure 1). Optimal and consistent blood separation is only safeguarded by double-spin PRP centrifuges with dedicated disposable concentration devices when compared to the so-called plasma, single spin, PRP devices. Single-spin devices produce a product from the acellular plasma layer, excluding erythrocytes and leukocytes from the PRP preparation process, while collecting as many platelets as possible from the plasma layer4. The literature revealed differences in outcomes when different PRP devices were used5,6. In this study, we employed the EmCyte PurePRP® (EmCyte Corporation, Fort Myers, FL, USA), double-spin system to generate a high concentration of platelets with minimal neutrophil contamination, to achieve a clinically significant effect. The study objectives are to assess the clinical effectiveness of neutrophil poor PurePRP injections in highly selected subjects for facial rejuvenation, with emphasis on wrinkle reduction, skin firmness, and a higher sub-epidermal density. Scientifically measurable, non-invasive, biometric skin diagnostic techniques were used to determine therapy efficacy. all subjects. 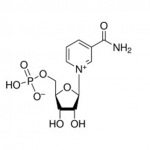 To compensate for the anticoagulant effects of sodium citrate, 0.05 mL of 10% calcium chloride was mixed with 1 mL of PurePRP prior to facial injection. A local anesthetic (EMLA®, Astra Zenica, Cambridge, United Kingdom) was applied in all facial areas for at least 30 min before the injection. Small aliquots of PurePRP, 1 mL insulin syringes, were administered intradermally and subcutaneously, using a 13 mm long 27G or 4 mm long 32G needle (depending on the thickness of the skin to be treated). All subjects underwent 3 sessions of PurePRP treatment at 1 month intervals, with a follow-up period after 6 months. At the end of each injection procedure, platelet-poor plasma, a byproduct of the PurePRP preparation procedure, was applied to the skin at all injection sites, and the treated area was then covered with polypropylene film for 10 min to promote skin penetration. No ice packs were used after the procedure. Daily applications of sunscreen protection were recommended. This study was conducted according to the principles of the Declaration of Helsinki, Good Clinical Practice Guidelines and General Principles of Portuguese Law (46/2004). The study was reviewed and approved by the IRB. Eleven healthy female volunteers signed informed consent forms before treatment with three facial PRP injections. The subjects ranged in age between 45 and 65 years old and had Fitzpatrick’s classification between II and IV6. All injections were given by the same physician (L.G.). Individuals with a history of immune deficiency or auto-immune disease, treated for a malignancy within 6 months prior to enrollment or who are currently under treatment for asthma or diabetes. The effectiveness of the PurePRP facial rejuvenation injections were assessed by several biometric instrumental devices. The Optical In-Vivo Primos 3D Skin Device (GFMesstechnik GmbH, Berlin, Germany) (Figure 3) to evaluate qualitatively and quantitatively skin profile changes, to assess wrinkle count, depth, and volume was applied to the periocular area (left or right). Quality surface imaging and dense 3D geometry mesh in a single capture were performed, measuring fine wrinkle improvements in skin surface structures. Skin biomechanical evaluations to measure the elasticity of the upper skin layers using negative pressure were performed with a Cutometer dual MPA 580 (Courage & Khazaka, Cologne, Germany) using a 2 mm probe (Figure 4). The parameters used were R0 to measure skin distensibility, representing the passive behavior of the skin to force. This parameter is correlated to skin firmness. The R2 parameter measures overall elasticity, representing the ability of the skin to return to its basal state. The Dermascan-C ultrasound device with a modified 20 Mhz probe (Cortex Technology, Hadsund, Denmark) was used to measure thickness and density of the sub-epidermal low echogenic band (SLEB), with calculations of subcutaneous fat thickness. All biometric instrumental protocol evaluations were performed in a fully controlled room and after an initial acclimatization process of at least 30 minutes. All data were analyzed using IBM SPSS Statistics-20 (Armonk, New York, USA). The biometric instrumental efficacy data are expressed as numbered data. All continuous data comparisons were submitted to the Student-T test or the Wilcoxon rank sign test. A 5% level of significance was used. The subjective data of efficacy was submitted to binomial testing, p<0.05 was considered significant. All subjects completed the study, receiving three PurePRP injections. The average age was 51 years (range 47–60 years old), and 82% of the women were classified as Fitzpatrick skin type III. The PurePRP treatment procedures were all consistently performed without any complications or adverse effects. No skin reactions were noted after each procedure. None of the volunteers experienced any discomfort during the study, or during the follow-up period. Minor ecchymosis, which resolved within 3 days, was noted with no signs of inflammatory or allergic reactions. Mean wrinkle count (p=0.000) and wrinkle volume (p=0.049) were significantly reduced, compared to the count and measurement before the first PurePRP injection, respectively 66.2 and 2 (Table 1). Evaluation of the true wrinkle count and volume percentage changes in all subjects after 169 days revealed a relative transformation in relation to D0 of -37.2 and -11.5%, respectively (p<0.05). A significant percentage increase in skin firmness parameters in the malar area, compared to baseline was noted (Figure 5). Also, changes in the nasolabial area demonstrated a significant improvement after 56, 84, and 169 days (p=0.000). A decrease in SLEB thickness (p=0.021) was already eminent at 2 months after the first injection and continued to decrease at D169 (p=0.033), with a simultaneous increase in SLEB density (p=0.042) at 6 months follow-up (Figure 6). The increase in density, pixels/mm2, did not affect subcutaneous fat thickness as shown in Figure 7 (p=0.224). Figure 6 Ultrasonography images assessing the sub-epidermal low echogenic band of the malar area of subject number 6. (A) Day 0, (B) Day 169. Commercially available PRP systems are designed for the preparation of a small volume of plasma, which might contain a substantial concentration of platelets, leukocytes and erythrocytes. These systems produce major differences in cellular composition7. A buffy coat PRP product is capable of enhancing cell proliferation and differentiation, cell migration, and ECM buildup, producing a concentration of platelets meeting the definition outlined by Marx of 1 million/microliter, or 1 billion per mL8. ‘PRP-like’ products (single-spin plasma PRP devices) have a low to no platelet concentration in the final product and consist mainly of plasma. These devices do not have the ability to increase the baseline platelet count to 5–7 times the native concentration and will demonstrate a less significant to no effect when compared to a buffy coat (double spin) PRP product, which is rich in platelets and specific leukocytes capable of tissue regeneration9. This PRP should be referred to as Clinical-PRP. It is well known that during ageing, epidermal and dermal changes in the skin are naturally occurring phenomena, with degradation of the ECM10. Also, the cessation of collagen fiber and elastin synthesis, with degradation of proteoglycans, results in loss of skin elasticity11. The remodeling of ECM and the activation of dermal fibroblasts are essential for rejuvenation of aged skin. It has been reported that the activity of PRP in facial skin rejuvenation induces the synthesis of new collagen by dermal fibroblasts via different molecular mechanisms12. Based on the specificity for facial rejuvenation, including cell proliferation, angiogenesis, and cell migration aiming at remodeling of the ECM. Wound healing models have provided interesting information with regard to the pathophysiology of photo-ageing, indicating that there are several parallel mechanisms between pathways involved in wound healing and those necessary for skin rejuvenation. Biological and biochemical processes are involved in wound formation which are similar to the required changes to reverse the effects of intrinsic and extrinsic skin ageing13. The bio-cellular activity of PRP injections, and thus effectiveness, is determined by which type of PRP is being used, buffy coat PRP, or plasma PRP. Specific PGFs (Table 2) in combination with available platelet proteins, cytokines, and chemokines regulate fundamental cellular activities, including mitogenesis, angiogenesis, chemotaxis, formation of the ECM, and ultimately control the activity of PGFs14. The authors, therefore, used PRP system, where the design characteristics are centered on optimizing the efficacy of patients’ treatment outcomes based on the capability of preparing various bio-cellular PRP protocol formulations. The EmCyte PurePRP® system can be categorized as a buffy coat PRP product15,16. The neutrophil poor PurePRP® protocol can be best described as an anticoagulated volume of plasma containing concentrated platelets, monocytes, lymphocytes, a fraction of red blood cells, and cell adhesion molecules. This protocol was used in all subjects, producing an almost absolute neutrophil cell depletion, with a high concentration of mononuclear monocytes and lymphocytes (unpublished data)17. The authors’ biometric instrumental study revealed that significant biological facial skin stimulation and tissue repair are possible in patients with ageing skin after three PurePRP injections. After injection into the dermis and subcutaneous layers, endogenous platelet activation occurs by the subject’s own coagulation factors, such as thrombin and collagen, leading to platelet clot formation, aggregation, and ultimately platelet degranulation. During this degranulation period, the platelets release their dense alpha granules, PGFs, biologically active proteins, histamine, serotonin, and other substances into the dermis and subcutaneous extracellular milieu (Figure 8). PGFs mediate inter- and intracellular signaling pathways that control cell proliferation and differentiation. Unlike in hormone therapy, the cell PGFs are synthesized by fibroblasts, keratinocytes, platelets, lymphocytes, and mast cells13. Furthermore, PFGs and signaling cells interact with fibroblasts, endothelial cells and stem cells, mediating cell proliferation and migration, and production of ECM proteins18. The biometric parameters showed undoubtedly the effect of the three PurePRP injections leading to noteworthy facial skin rejuvenation. The authors’ data are in agreement with a recent paper from Cameli and associates, using a comparable study protocol19. In the authors’ study, the wrinkle count started to decrease significantly after the first PurePRP injection and continued to decrease until 3 months after the last injection. This effectiveness of a single PRP intradermal injection in reducing wrinkles was also reported by Elnehrawy et al1. A significant improvement was noted regarding general appearance. Skin firmness improved significantly after the first PurePRP injection, in contrast to the observation by Yuksel and associates, where skin firmness-sagging only improved after three PRP injections20. In their study, a single-spin plasma PRP was used, with an average volume of 1.5 mL. The platelet-poor plasma was used on a gauze-sponge to cover the entire face after PRP injection. To conclude, the authors’ realized that the sample size was relatively small, so they, therefore, analyzed the relative transformation of biometric instrumentation data in relation to the skin condition prior to the first PurePRP injection. Furthermore, they forcefully monitored the exclusion criteria, with strict study constraints throughout the study duration. According to the results, the PurePRP procedures were easy to perform, and all subjects tolerated them well, with no complications or reports of adverse events. 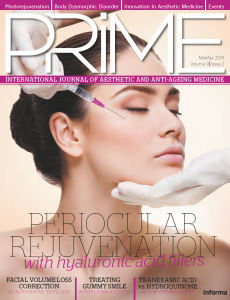 The authors’ found the PurePRP injections safe to perform, generating effective facial skin rejuvenation, with high levels of patient satisfaction. 3 © Canfield Scientific; 4 © Courage+Khazaka electronic GmbH; 6 © PhD Trials Center, used with permission.